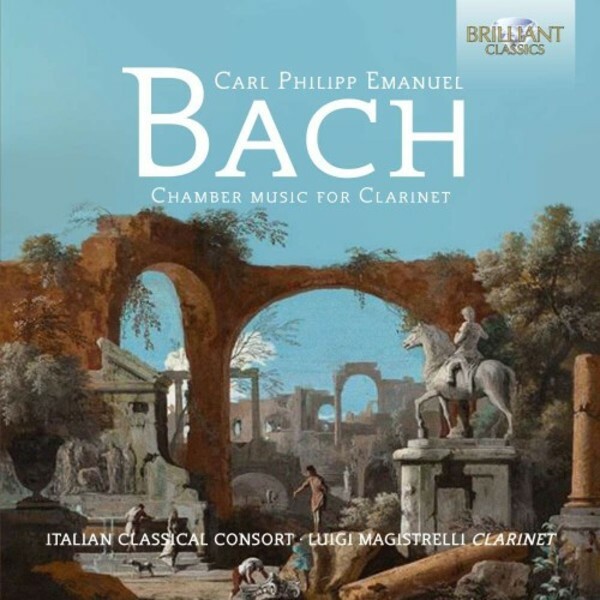 The ever‐expanding catalogue of Carl Philipp Emmanuel Bach on Brilliant Classics (most of it contained in a 30-CD box, 94640), now reaches his music for clarinet, which has received much less attention on record than his orchestral or keyboard works but is no less melodically fertile and formally inventive than his better‐known music. The clarinet was in its infancy when Bach began to write for it, late in life, having left his position in Berlin as court composer to Frederick the Great, and taken over the directorship of the five principal churches in Hamburg after the death of his godfather, Georg Philipp Telemann (who, as ever, got there first when it came to exploring the potential of new instruments, with various works including a lovely and doleful duet‐concerto for two clarinets in D minor). Sometime after his move to Hamburg, Bach created six single movement sonatas for clarinet, bassoon and fortepiano (H516‐21, Wq 91/1‐6) of which the keyboard parts are recycled from earlier works, as are several other pieces here, including music which he had originally composed for flute, perhaps for Frederick to play. The Quartet in A minor (H537, Wq93), however, certainly dates from early 1788, originally written for flute (or, as here, clarinet), violin and treble and bass keyboard lines: thus a trio in practice. The two clarinet duets here are the shortest works on the disc, yet not the least affecting, within the harmonically searching idiom, dubbed Empfindsamkeit, of which Bach became the most noted practitioner, exciting the admiration and imitation of Mozart, Beethoven and countless others who came after him.